Howdy, everyone! 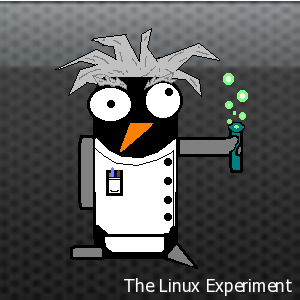 Dana here with what looks like the very first blog post on all of The Linux Experiment. Let me take the time to welcome you here; we have high hopes for the site, and hope you enjoy the process every bit as much as we’re hoping to. As you know (or may not know! ), Linux comes in a wide variety of “flavours”, also known as distributions. Each distribution has its own little personality; some are built for users with no Linux experience and are very user-friendly out of the box, while others require you to compile the kernel itself before you can do anything useful with it. Sounds fun, right? Part of the challenge we face before the September 1st deadline is picking a distribution to install as our operating system of choice for the four months to follow. As documented in the Rules section of this site, we’re not allowed to install any distribution we’ve touched before – which knocks out a few for me, even though I have limited overall Linux experience. Fedora 11 – this is far and away my front-runner. Reading up, I’m intrigued by its improved open-source driver support, and I’ve heard wonderful things about the new version just released in June. Slackware – my grandfather’s distribution of choice. Never toyed with it, but he seems amused enough. Knoppix – I’ve used Debian, but not this one. I pose the question to you, the reader – what would you have me do? Do you have any input on any of these, or maybe some that I didn’t list? Let me know! Or you could try the distro that is installed on the Asus eeePCs (its Xandros). I was taking a look at both of those, Typegeek. The eeePC distribution seemed a little basic for my liking (I wasn’t a fan of the eee when it released), and Puppy caught me as being a little Windows-esque. Thanks for both of the suggestions though!